If you remember our last post, I am now corresponding with Melissa Stidom and Arleen Dallachiesa. We have determined their shared ancestors are Clemente Dallachiesa and Maria Zambotti, and that Melissa and Arleen are 2nd cousins, once removed (as well as 3rd cousins with me!). Both cousins have provided me with information on their family lines, stretching back three generations. I compiled all of the info into one long list and began the task of verifying and mapping the family genealogy. My main resource for checking ancestors born in Castelfondo is a large digital archive I maintain on my hard drive. The file contains copies of original baptismal, marriage and death records from the village church spanning about four hundred years. For those born in America I use records from Ancestry.com, FamilySearch, Find-A-Grave and other online genealogy resources. Slowly I began to piece together birth dates, matched up spouses, found additional births of children who did not survive to adulthood, and added as much information as possible to our original family list. I also included Clemente’s parents, Pietro Dallachiesa (1816-1855) and Barbara Marchetti (1818-1895) along with his four siblings, expanding my research back one more generation. Remember – I already had an extensive genealogy for Maria Zambotti, Clemente’s wife, because she is the sister of my great-grandmother Oliva Zambotti Genetti. 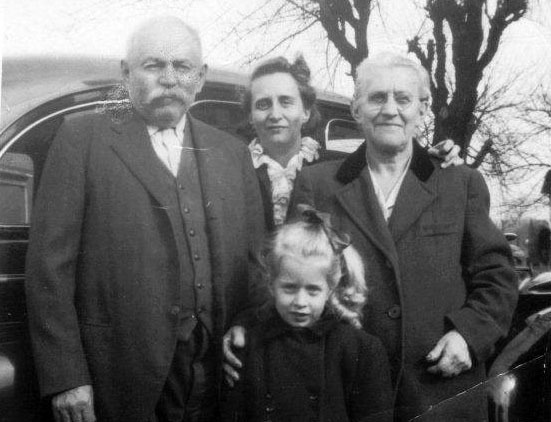 I have records dating this family back six generations for their Zambotti line, twelve generations for their Genetti line, and three generations for their Covi line. Fortunato (Tuno) and Grace Dallachiesa, 1963. Tuno is the son of Clemente Dallachiesa and Maria Zambotti. Tuno and Grace are also the grandparents of Arleen Dallachiesa. As I sorted through Clemente’s siblings (Maria, Antonio, Pietro and Catterina), I was surprised to find numerous matches between the Dallachiesa family and the Zambotti family. This is when the research REALLY became interesting! If you are familiar with the Genetti family of Pennsylvania, you also know there are numerous marriages between Zambotti and Genetti ancestors from this branch of the family. As I continued my research, it became evident that the three families overlapped in many places. Yikes – it became so confusing that I had to diagram the relationships in order to enter them correctly into our tree! If not careful, it’s easy to duplicate a person that appears on two different branches of the tree and is related to multiple ancestors from different families. Maria Dallachiesa (1841-1917) marries Francesco Mattia Covi (1834-1886) who is the uncle of Simone, Maria, Oliva and Lucia Zambotti (the brother of their mother, Maria Domenica Covi). Clemente Dallachiesa (1844-1905) marries Maria Zambotti (1854-1906) who is the sister of Simone, Oliva and Lucia Zambotti. Catterina Dallachiesa (1853-1939) marries Simone Zambotti (1852-1923) brother of Maria, Oliva and Lucia Zambotti. Damiano Genetti marries Oliva Zambotti (1861-1938) who is the sister of Simone, Maria and Lucia Zambotti. Rafaele Genetti, brother of Damiano, marries Lucia Zambotti (1865-1952) who is the sister of Simone, Maria and Oliva Zambotti. Pietro Zambotti (1881-1966), son of Simone Zambotti and Catterina Dallachiesa, marries Ottilia Genetti (1890-1985), the daughter of Damiano Genetti and Oliva Zambotti. (Giuseppe) Alessandro Zambotti (1878-1951), son of Simone Zambotti and Catterina Dallachiesa, and brother of Pietro, marries Mary Dallachiesa (1882-1967), daughter of Clemente Dallachiesa and Maria Zambotti. Simone, Maria, Oliva and Lucia Zambotti’s grandmother was Maria Barbara Genetti (1796-1844), married to Simone Zambotti (1786-1874). She was the 4th cousin, once removed of Damiano and Rafaele Genetti of Pennsylvania (and the aunt to Vigilio Genetti, who’s branch of the Genetti family immigrated to Illinois – see past blog post). The father of Simone, Maria, Oliva and Lucia – Alessandro Zambotti, (whose mother was Maria Barbara Genetti) also had a grandmother on his father’s side who was Lucia Genetti (1761-1816). At the time of this writing, I have yet to find the connection of Lucia to the rest of the Genetti family tree. Are you completely confused? I certainly was! 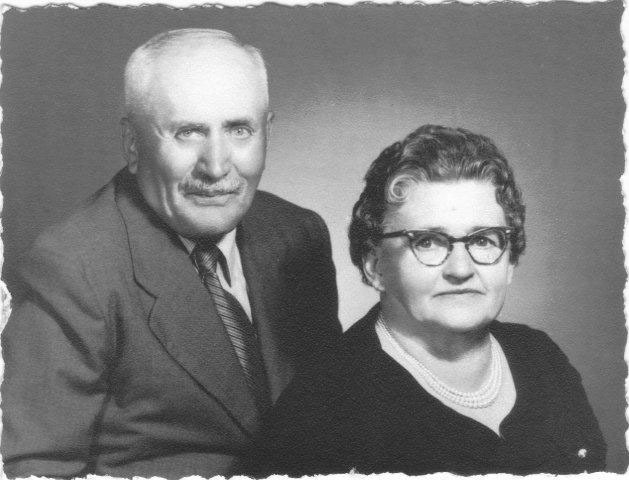 But clearly, the Dallachiesa family was closely related to the Genetti family and should be added to our ongoing genealogy project. With the final results of this extensive ancestral dig completed – we added 70 new names and 20 photographs to our online tree, plus found many pieces of our family puzzle. Special thanks to Arleen Dallachiesa and Melissa Stidom for their wonderful contributions! And yet – there’s still more to this story!